St. Patrick’s day is over and stores are offering corned beef at rock bottom prices. Take advance of these deals and try something new. 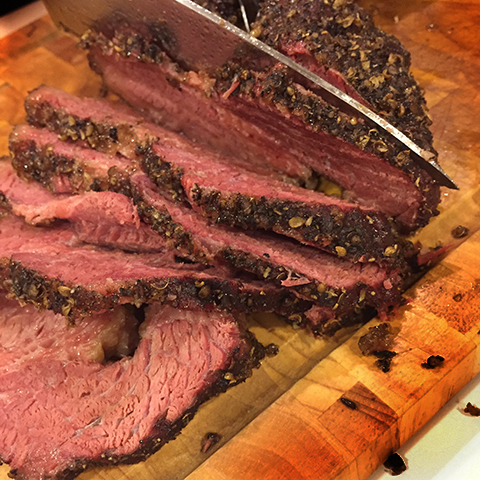 Our pastrami recipe is so simple will have you going back to the store to fill up your freezer. 1 can of your favorite beer. 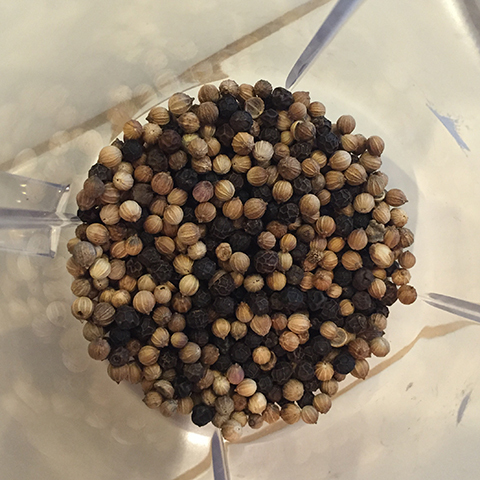 Start by grinding the peppercorns and coriander seeds. Then apply a liberal coat of the them to your corned beef. Set your smoker to 250f. 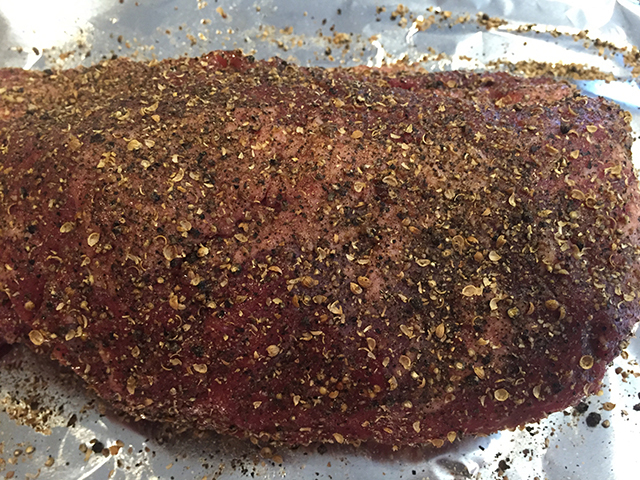 Add your corned beef to the smoker and spritz with beer every 45 min. 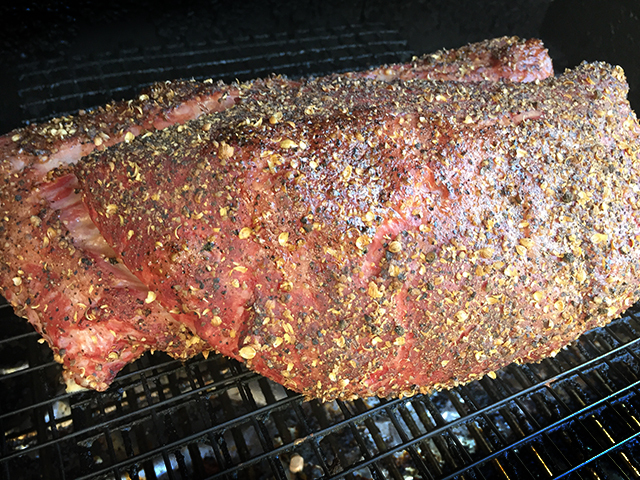 Smoke until the internal temp hits 165f. Once you hit 165f wrap tightly in foil and continue to cook until the internal temp hits 205-210f or until probe tender. Slice against the grain, add some rye bread and mustard and have the best pastrami sandwich of your life. 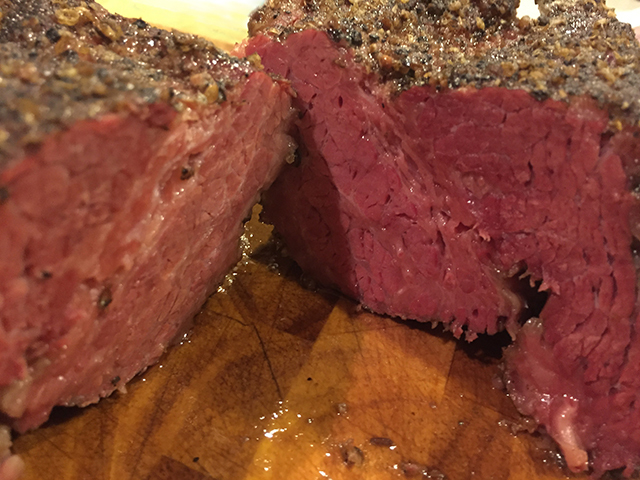 Total cook time may take between 8-10 hours depending on the size of your corned beef point.